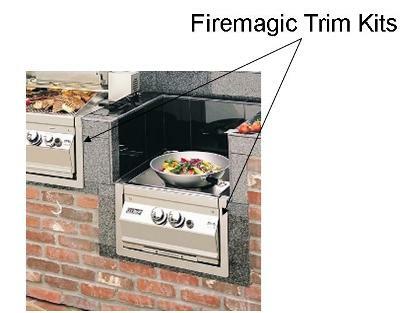 Firemagic Stainless Steel Trim Kit, used for island built-in or cabinet installations. These trim kits will really finish-off any installation and dress it up, beautifully! Available for most all Firemagic models of grills and and accessory items. Please specify Right OR Left for the refrigerator hinge position.